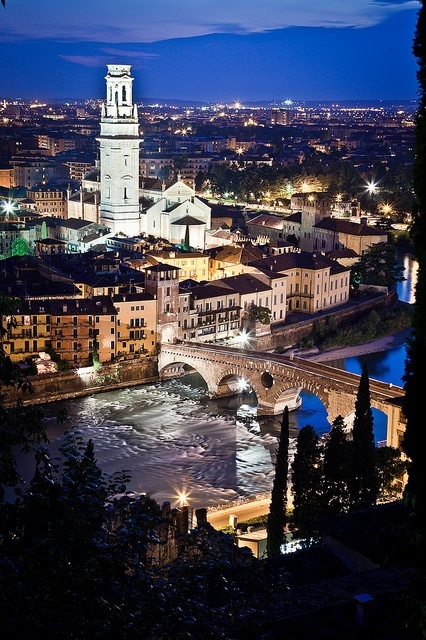 Verona (Venetian Verona, Veròna) is a city straddling the Adige river in Veneto, northern Italy, with approximately 265,000 inhabitants and one of the seven chef-lieus of the region. 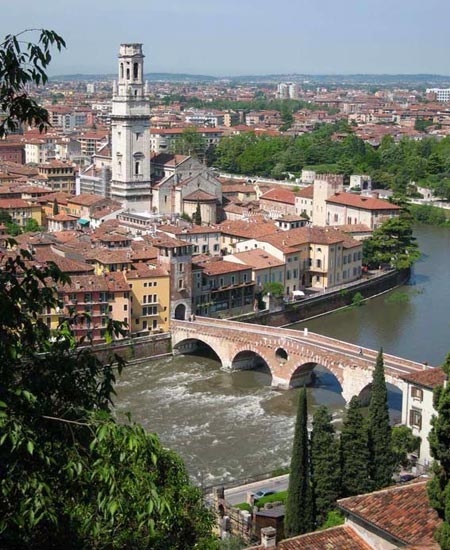 It is the second largest city municipality in the region and the third of northeast Italy. 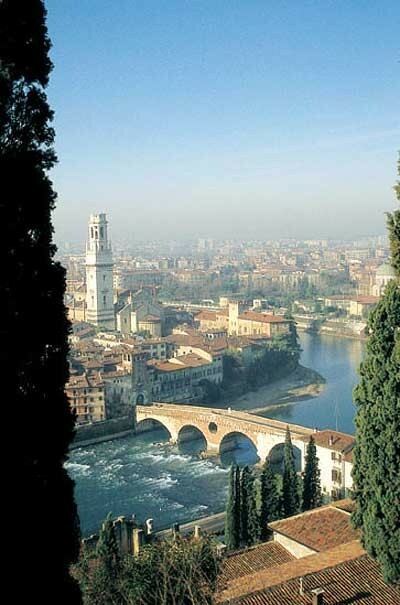 The metropolitan area of Verona covers an area of 1,426 km2 (550.58 sq mi) and has a population of 714,274 inhabitants. It is one of the main tourist destinations in northern Italy, owing to its artistic heritage, several annual fairs, shows, and operas, such as the lyrical season in the Arena, the ancient amphitheatre built by the Romans. 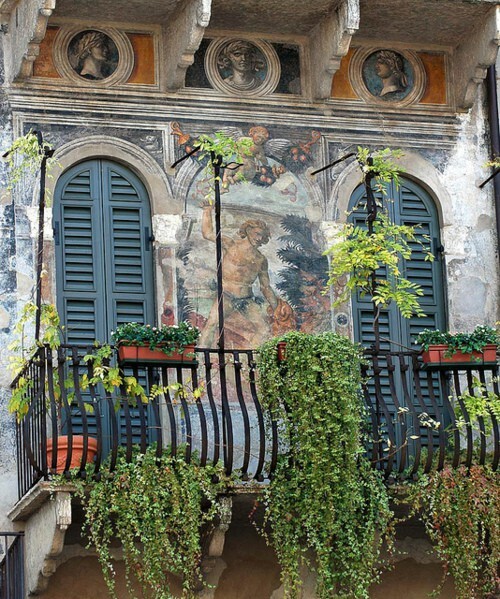 The city has been awarded UNESCO World Heritage Sites because of its urban structure and architecture.